If you're lucky enough to live in an area that has easy access to pecan firewood, you're a very luck person. Since the pecan tree is in the same family as the hickory tree, the burning characteristics between the two are very similar. In fact, many would argue that pecan even holds the upper edge because of its smoking qualities and low amounts of leftover ashes. The average pecan tree will grow to about 70-100 feet tall and they have a moderate growth rate, meaning they will grow around 1-2 feet per year. Grown in 15 states in the southern United States, the trees are best known for their fruit, the pecan nut, which is sold commercially. The trees grow in climates that are hot and humid for long periods of time and lumber produced from the tree is prized for making great furniture. Perhaps the only downfall to the pecan tree is its limited growth range since it's confined to the southern United States, however, there are some varieties that can be successfully grown in northern cooler climates and parts of the upper Midwest. As a general rule, all nut and fruit bearing trees will make good firewood. Pecan firewood burns hot and smells amazing. Similar to burning hickory, the wood has great coaling qualities, burns long and hot, and leaves behind only a small amount of fine ashes, which is great for using in a wood stove. Orchards are typically one of the best places to find the wood. After seasonal trimming, many orchard owners are happy to give the wood away so they don't have to deal with all the branches. 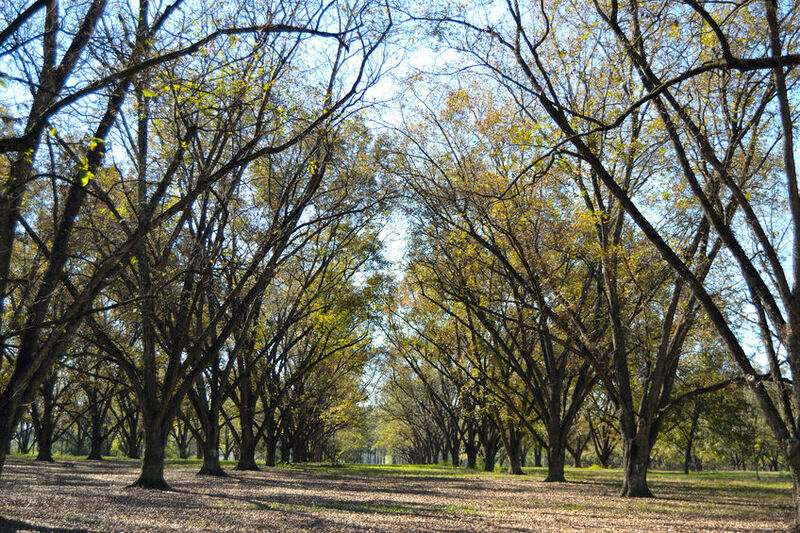 Since pecan trees are grown out in the open, they grow pretty wide and can range from around 40-75 feet across. These large and plentiful limbs commonly break, leaving behind nice large branches for firewood. If you're lucky enough to live near a pecan orchard and you're interested in the wood, just go talk to the orchard....you might be surprised! Pecan wood is also great for smoking. It has a mild flavoring similar to almond firewood and not quite as bold as mesquite or hickory. Unless you live in the south, the easiest way to obtain pecan for cooking is to simply order it online. You don't need a lot of the wood for smoking, and it's relatively inexpensive. When splitting pecan, it really depends on the piece of wood. Some pieces are not bad, while other pieces can be twisted, knotty and really tuff to split. I recommend using a hydraulic wood splitter if you have a lot of wood to process. Let the split wood season for about 1 year and the wood will be ready to burn. Letting pecan season for 2 years is ideal, but as long as you have it elevated and allow it to dry in the summer sun, a year is typically sufficient. 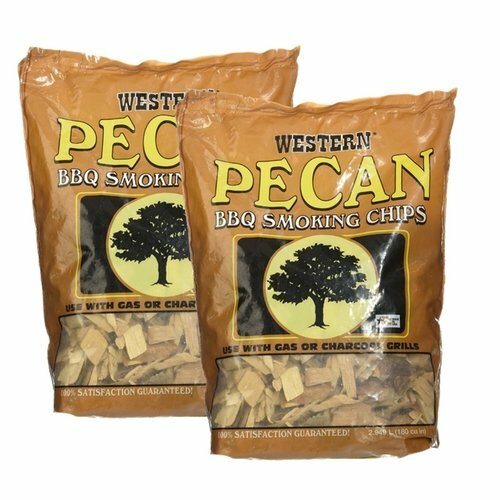 Overall pecan is a great all around wood for burning, smoking and wood working. If you live in a region where the wood is plentiful, it's definitely a great firewood choice!